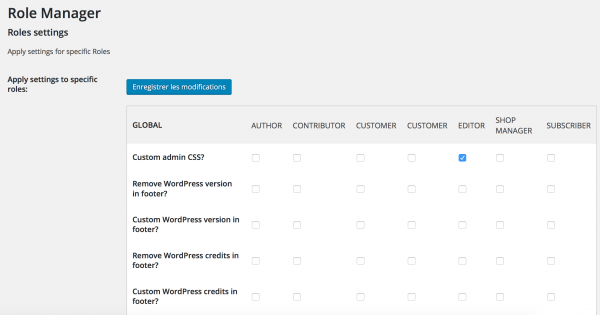 Download our plugin from you wp-alcarte.com account. Go to your WordPress admin, Plugins, Add new and upload the ZIP file of our plugin. Before customizing your WordPress backend, you need to define which roles will use your custom settings. To do this, go to WP Admin UI, Role manager. Choose roles and settings and click Save.